Postharvest losses of fresh horticultural crops are a major challenge in Tanzania, with studies from Sokoine University of Agriculture estimating losses of fresh produce at 44-60 percent. According to the Tanzania Horticulture Association (TAHA), horticulture is one of the country's fastest growing agriculture subsectors with 8-10 percent increase per year and approximately 450,000 Tanzanians employed, so reducing postharvest loses of horticultural crops will contribute significantly to economic growth of the country. This collaboration is focused on building capacity at Sokoine University of Agriculture in postharvest management of horticultural crops. The main goal is to provide students, farmers, traders, marketers, and agriculture extension educators with tools necessary to improve the quality and shelf life of their products — thus reducing postharvest losses in Tanzania. The international project team takes a systematic approach to address the needs of the local community while training local experts to help maintain and ensure the continuation of outreach programs and training. The first phase includes supporting development of a curriculum for a Master's of Science program in horticulture, including three graduate level courses that specialize in postharvest handling as a core part of the curriculum. The second phase focuses on providing training in postharvest management to small- and mid-scale farmers, traders, marketers and agriculture extension educators. 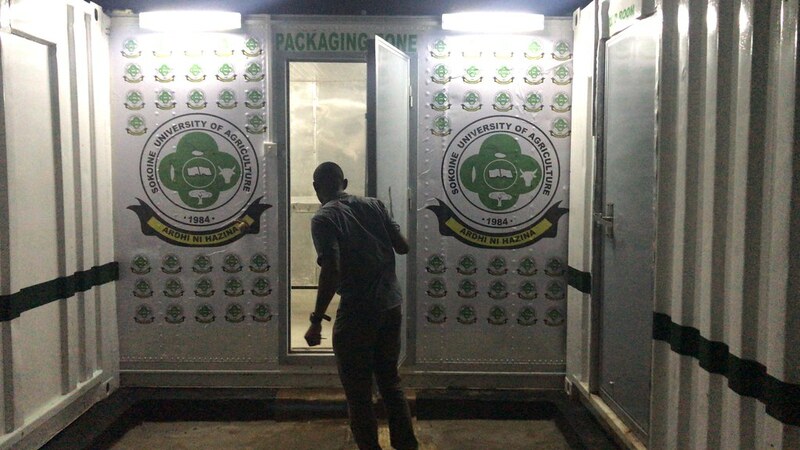 The third phase focuses on improving available infrastructure at Sokoine University of Agriculture to support the project activities, including delivering and maintaining the graduate-level courses on postharvest physiology, technology and safety. The team will work to optimize postharvest technologies, particularly cold storage technologies such as the zero-energy cool chamber and CoolBot systems, for use in Tanzania — in particular for demonstration purposes.